Join us at the Algonquin Theatre on Friday September 29th between 3pm and 9pm as we host an evening of art and entertainment. 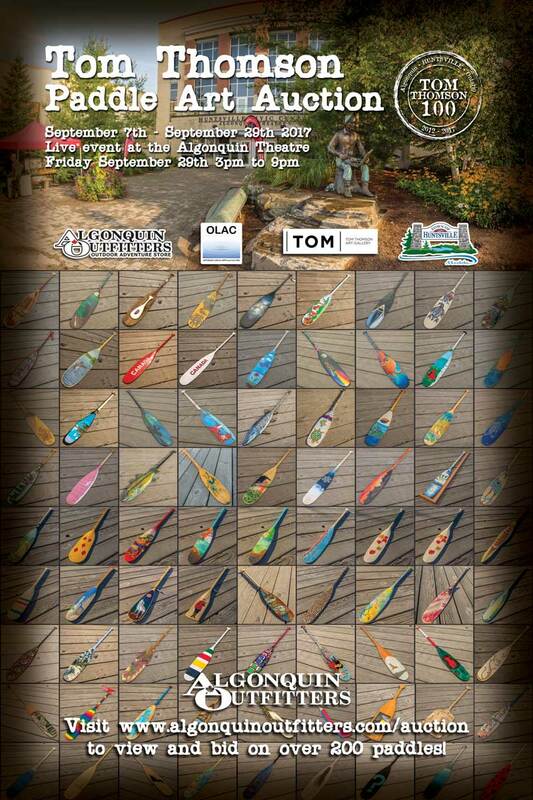 This will be the last chance to see the over 100 paddles in our Tom Thomson Paddle Art Auction. The event will start at 3:00pm in the after noon with an open house viewing until 9pm. Be sure to come out for our 7:30pm showing of the film “Canoe Canoe”, part of Ontario Travel’s Canadian Canoe Culture. You don’t have to attend this event to bid on paddles online just click this link to see all the paddles available in our online auction: www.algonquinoutfitters.com/auction. 9am-10am Culture Days weekend flag raising and launch with music by Briar Summers. 3pm – 9pm Tom Thomson Paddle Art Auction open house viewing. 7:00pm – 7:30pm Huntsville Culture Days information presentation. 7:30pm – 8:00pm Free viewing of “The Canoe” film by Goh Iromoto / Ontario Travel. 8:00pm – 9:00pm music by Sean Cotton and artist open mic. 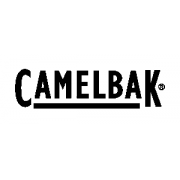 8:00pm – Midnight – Last call for online bids for paddles. I want to thank everyone who took part in our Tom Thomson Paddle Art Contest. We were hopping to have 100 paddles entered in memory of Tom Thomson and in support of arts and culture in our communities (though the Oxtongue Lake for Arts & Culture and the Town of Huntsville, reserved fund for future public art acquisition), in the end over 200 paddles were received by the time our contest submission period ended (Aug 31st 2017). We’ve have great support from many members of the community; Town of Huntsville, Oxtongue Lake for Arts and Culture, the Tom Thomson Art Gallery, Lake of Bays Brewing Company, just to name a few. Take a journey with Jean and Bob Hilscher, an award-winning film producer, along the Oxtongue Waterway near Algonquin Provincial Park in Ontario, Canada. It is here that landscape artists Tom Thomson, Lawren Harris, A.Y. Jackson, Arthur Lismer, Frederick Varley and A.J. Casson began to paint the Canadian landscape in 1912. It is our great pleasure to announce the local musician, Sean Cotton, will be attending our Algonquin Outfitters Paddle Art Auction evening to play the electric paddle guitar created by Christopher Dutton as an entry in our contest. Be sure to come for an evening of entertainment and art, Friday September 29th at the Algonquin Theatre. There won’t be another evening like this! This film captures the human connection and bond created by Canada’s well-known craft & symbol, the canoe. Through the stories of five paddlers across the province of Ontario, Canada – a majestic background both in it’s landscape & history – the film underscores the strength of the human spirit and how the canoe can be a vessel for creating deep and meaningful connections. We hope to see you on Friday September 29th between 3pm and 6pm for this free Culture Days event in support of local art in our communities.